After a two week hiatus from our anniversary celebration, Thursday Morning Superhero has returned and not a moment too late. Mark Millar launched Jupiter's Legacy, a tale about superhero parents dealing with their frustration with their own superhero children and the broken political system in the U.S. where they currently reside. It is packed with mystery, drama, and political commentary. Morning Glories is moving on to season 2 and you can pick up issue #26 for only $1! On top of that it looks like I will be taking a road trip to Chicago on Saturday to partake in some C2E2 festivities! Mind MGMT #10 - Curse you Matt Kindt for giving readers a new experience each time they read your book and setting the bar to unattainable heights for other creators! Seriously. Check out the store on his website if you don't believe me. Look at some of the merch he is selling! Onto this week's issue. We meet a former Mind MGMT recruit who can read the thoughts of all within a fifteen mile radius of himself and we can too. In the sidebar, before reading the page, you can read the thoughts from his perspective and then watch what unfolds. This obviously creates a challenge for Lyme and his group, but with the help of some six-sided friends they are able to make their pitch to him. Not wanting to spoil anything, what happens at this meeting has me chomping at the bits to read issue #12. Time to go back and happily reread this series in an attempt to reveal more secrets that Kindt meticulously places in each issue. This title is rapidly becoming one of my favorite series of all-time. 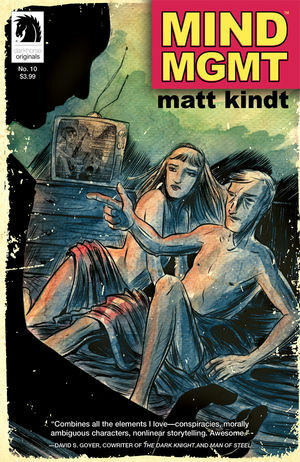 Kudos Mr. Kindt. 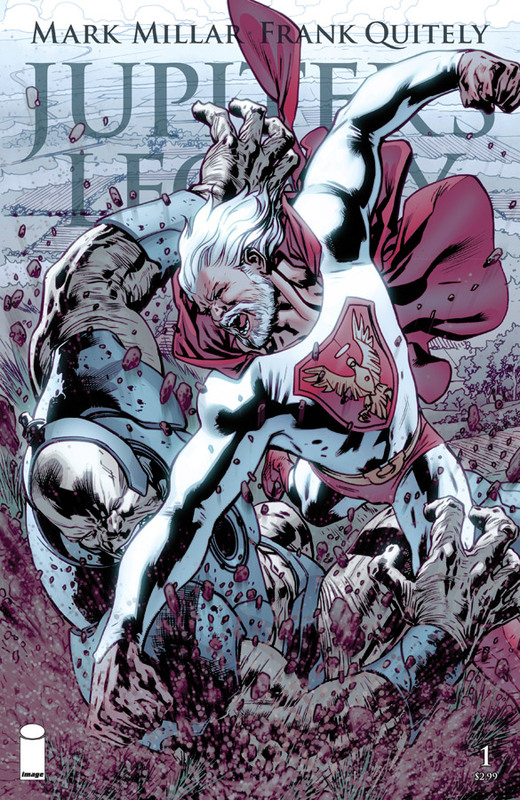 Jupiter's Legacy #1 - Mark Millar appears to have another hit on his hand with his mix family and political drama. Excited for issue #2! Morning Glories #26 - Season two looks to include even more time travel and twists in what my be the best deals and best looking comics available today. Casey undercover! The Mighty Skullkickers #1 - I am continuing to enjoy this tongue-in-cheek book that manages to balance humor and story quite well and isn't afraid to take jabs at the comic industry. The wild rumpus ala Where the Wild Things Are helped too. Gilbert Hernandez in LA Tonight!